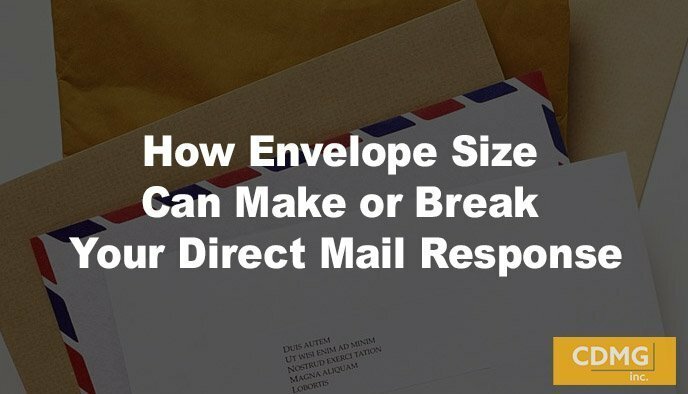 Does it matter what size envelope you use in your direct mail campaign? Yes, it absolutely does. Remember, the envelope is the first thing your prospects see when they receive your direct mail piece. So it is important to choose carefully. Provoke and motivate your prospect to tear open the envelope and discover what is inside. I used a #14 envelope in a campaign I created for my client, The Motley Fool. I did this because I really needed the piece to stand out from the highly competitive mailbox clutter of #10s and magalogs. The successful response proved that a #14 does its job to stand out from the crowd. Is using an unusual envelope worth the added expense? While a 6X9 envelope will usually give you a slightly higher response, the extra cost for an envelope of this size is usually not justified. The 9X12 envelop will also give you a slightly higher response than a #10, but usually will not produce a better cost-per-sale because of the added cost in postage. But there are great exceptions making it worthwhile to test. After all, Ken Fisher built a $96 billion assets-under-management company from a 9X12 envelope. The key is to test your envelopes. And make sure that you don’t fall into a rut. If your competition is using a #10 and so are you, it is time to make a change. If your audience is used to you always sending out the same size envelope, it istime to switch formats. You can use the same contents and the same copy on the outside of the envelope, but changing the envelope size could rejuvenate your prospect’s response toward your piece. If you would like me to help you with a successful and profitable campaign, call me at (310)212-5727 or email Caleb at caleb@cdmginc.com.